The Genesis Futura XL is an automatic rotary ring style stretch wrapper designed to provide a rugged, flexible and high capacity automatic stretch wrapping solution. The oversized ring of Genesis Futura XL allows for a maximum pallet load size of 75” x 75”. The Genesis Futura XL is a 30 RPM so high throughput capacity requirements are no problem. 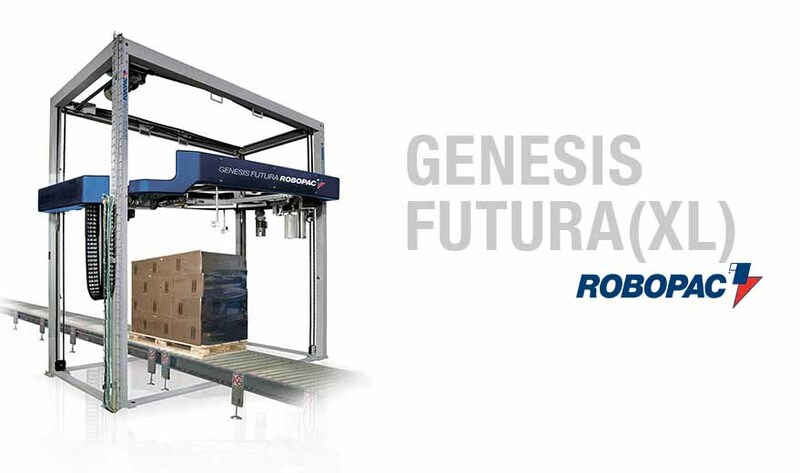 Robopac’s commitment to provide “Innovation Driven by Value” ensures the Genesis Futura XL offers the highest level of technology in this range of equipment. 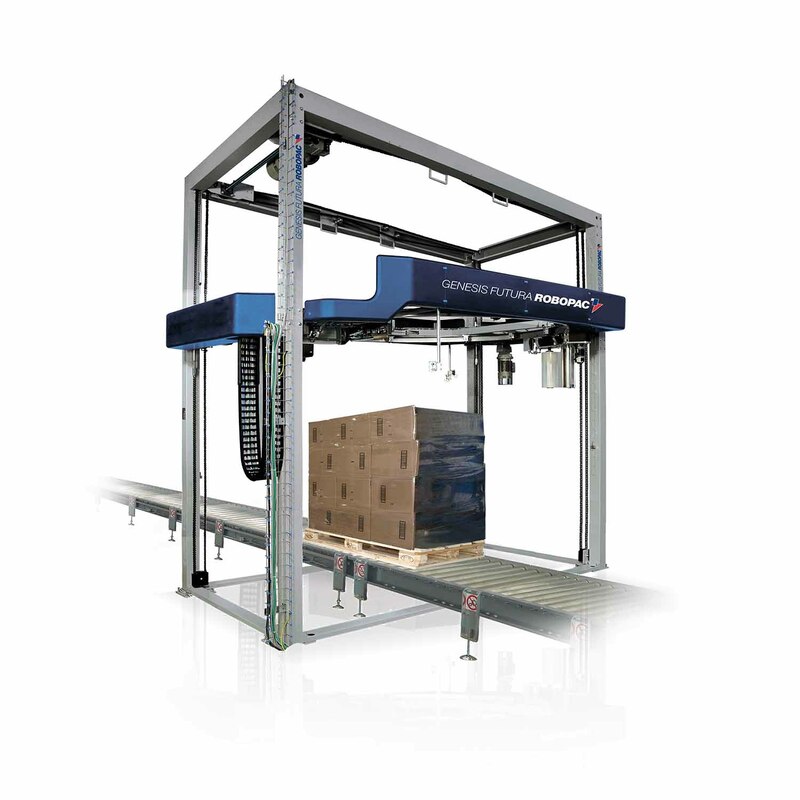 If you are looking to increase productivity and lower TCO, the Genesis Futura XL is the right stretch wrapping machine for you!